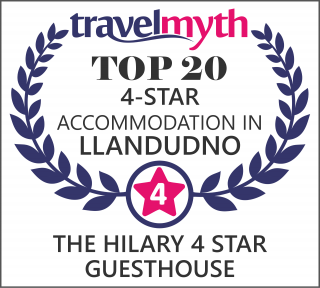 We respectfully remind guests that a booking made and accepted by telephone, email, online or in writing constitutes a legal binding contract between themselves and The Hilary Guesthouse and we would strongly advise all guests, in case of unforeseen circumstances, to take out travel insurance just as you would if you booked a package holiday or a flight. All bookings must be secured with a credit / debit card and we reserve the right to charge a deposit equal to 1 nights accommodation which is non refundable. (Cheques are only accepted for bookings made 2 weeks or more prior to arrival date). Promotional rates are only available when booked direct with The Hilary Guesthouse. Once we have received this information we will email you with a confirmation of booking. The right is reserved to charge for any breakages or damage during the stay. Any guest found smoking or suspected to be smoking in their room will be asked to leave immediately and a room recovery charge of £100 will be made in addition to full settlement of the bill. This also applies to bringing takeaway food back to the room. As we are unable to judge reasons for cancellation, change of booking or non-arrival, guests are reminded that no exceptions to the cancellation policy will be made. Once a booking is made and confirmed, any changes such as a reduction of days or changes of dates or rooms, is deemed as a cancellation and the standard cancellation terms and charges apply. Cancellation by the guest must be made by phone. We do not accept cancellations made solely by emails as these can show up as Junk Email and remain unread. The date from which the cancellation applies will be the day the cancellation notice is received by The Hilary Guesthouse. Where bookings are made through an online travel agent (OTA) and not direct with ourselves, the booking must also be cancelled direct with them as we cannot cancel a booking made by a 3rd party. Bookings cancelled or changed up to 2 days prior to arrival will only be charged the 1 night non refundable deposit. Bookings cancelled or changed less than 2 days prior to arrival will incur a charge of 100% of the total balance. If all or part of a stay is cancelled after arrival due to you having to leave early, the full cost of the stay will remain payable on departure. No-shows will be charged the remaining balance of the booking. We reserve the right to refuse entry to The Hilary Guesthouse if you are inappropriate. (Drunk, bad attitude e.t.c ) the balance owed will be charged in full. Where card details are provided at the time of the booking in order to pay the deposit / secure your booking, it is accepted by the card holder at the point of booking, that authority to charge the balance due, as detailed above, is automatic and part of the booking contract. Where no card details are provided i.e deposit paid by cheque, then an invoice will be sent to the address provided for settlement of the balance. In the case of cancellation or change of a pre-paid booking less than 2 days before the arrival date, if the room/s are re-let, the funds will be transferred ( less any costs incurred as above) to a future booking but if cancelled room/s are un-let, then the cost of the booking will be non refundable and not transferable to a future booking. If the specific room reserved is rendered unusable via circumstances beyond our control (e.g. damage by a previous guest), we reserve the right to transfer you to an alternative room or equal status where possible or on a free upgrade basis. In the case of lost keys or keys not returned at check-out, the replacement cost of all necessary locks and keys will be charged to the guests responsible.